Ready to get rockin’? HypeFest is approaching us and we can’t hide our excitement! On June 16, we will be having our first ever music fest from 12 p.m. to 2 a.m. at The Rustic in Dallas! Celebrate with us our five year anniversary as a Marketing & PR agency as we showcase some of our badass music clients. Join us on our HypeFest Diary journey to learn more about the artists you can expect to see at the event! Meet The Mammoths, an up-and-coming Austin band that came together as a band through MAGIC. Some things are just meant to be! Within the band you will spot David who plays the chirps, Michael the flails, Tim the bangs, and Tyler the thumps. This solidified band is evolving and thundering their music through many stages including our very own Hypefest where you can expect them to rock your world. What’s their style of music? Well, from rock to blues, the band doesn’t really know how to describe their unique style but know that when they come together, a masterpiece is formed. “Someone will come in the practice space with an idea, which will turn into an amorphous blob, then a song is born,” the band tells us. The Mammoths love both the Dallas and Austin music scenes and wouldn’t be the band they are today without the support from both cities. They love Dallas because it seems to be able to support full time working musicians. However, it differs from Austin since Austin has more music-oriented programs to help artists reach the next level or take care of their well-being (Black Fret, AMF, HAAM, SIMS). Dallas and Austin are a close tie for their favorite city to play! Be on the lookout for The Mammoths because they are making BIG moves. Currently, they are recording their debut full-length album at Modern Electric with Jeff Saenz captaining the ship. Jeff is helping them bring out the best in their band by socializing and getting them out of their typical song structures. Their dedication to music is getting more intense as they will be hitting the road July and August. Their van, Peggy, will be touring the Southeast, Northeast, Midwest, and Colorado regions. Catch them at one of their shows this summer and experience a blazing show from this incredibly talented band! 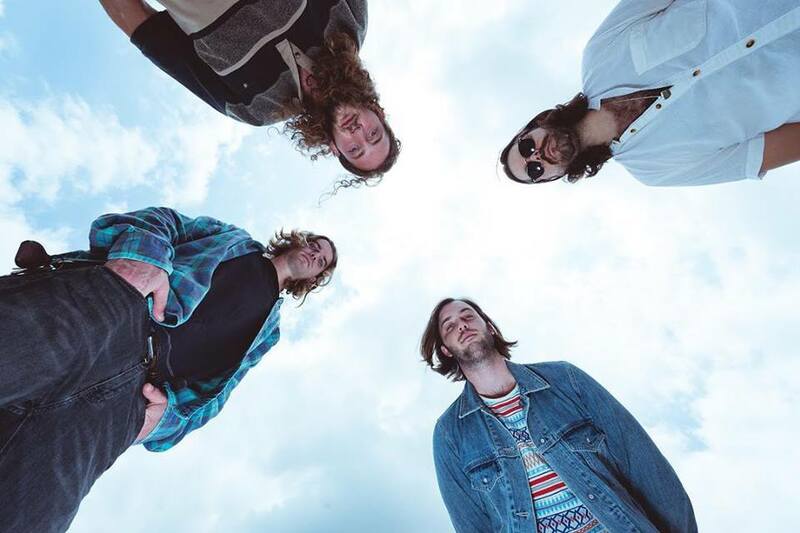 For more information on The Mammoths, visit their page at: http://themammothsmusic.com/ Come check them out next week at HypeFest and RSVP to see the band perform along with other artists on our all-day mini-music fest!